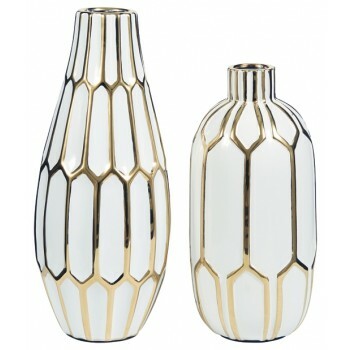 Stunning in goldtone and white, this 2-piece vase set is what your home’s been missing. Varying sizes in the honeycomb-inspired geometric pattern bring visual appeal. These vases aren’t just good for looks, they’re durable enough to go outside, too. How’s that for style?